Lemax Village People Figurines (Set of 6) depicts a selected group of Dickensian village folk each uniquely individual Characters, including the famous Dickens character "Scrooge". Favourite Lemax Village miniatures since 1999 from the Lemax Caddington Village themed range, suited for placement in a seasonal Lemax display. 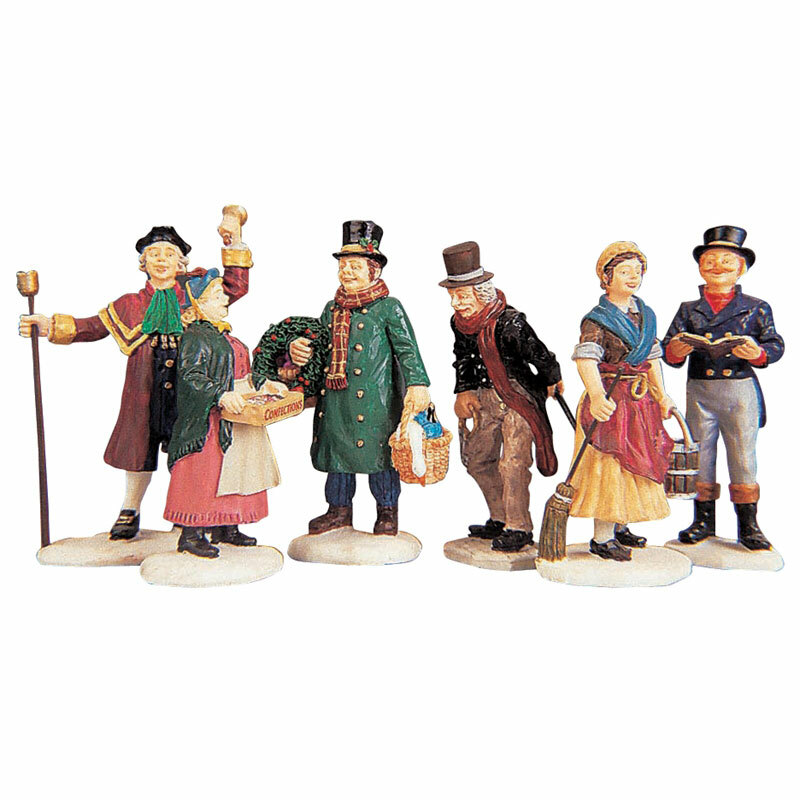 The Village People set comprises of six individual hand painted polyresin figures on individual bases to compliment your seasonal Lemax Village Christmas display.